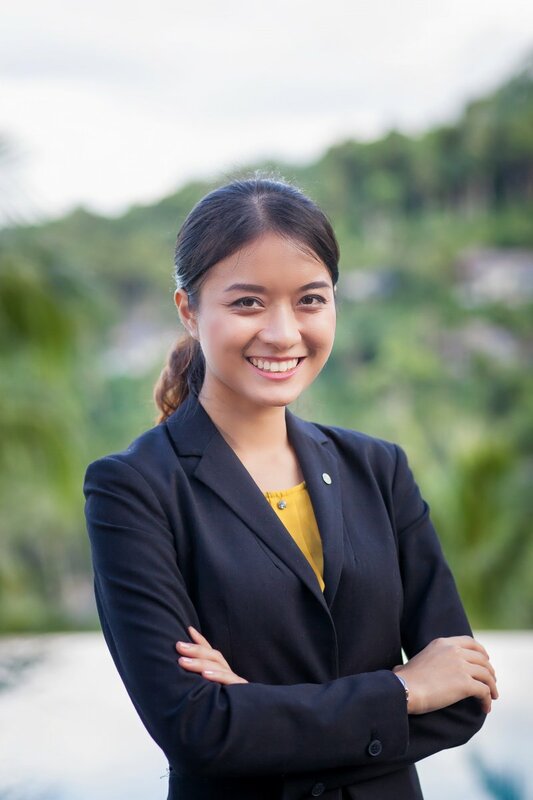 NEW JOBS FOR VATELIENS: In Mai 2016, right after one year in the Four Season Koh Samui and another one ine the Four Season Bangkok, Phimnaphas was hired as the Mandarin Oriental Bangkok Hotel "Conference & Events Sales Manager". Coming soon: her new interview. Right after she graduated with her Bachelor’s Degree from Vatel Bangkok, Phimnaphas Akharakasempongsa was hired by the five-star luxury Four Seasons Bangkok Hotel as the Special Events Assistant Manager. Just a few months before this, she was in France, doing her final internship. Could you tell us a bit about your last internship? What missions were you in charge of and why did you decide to come to France, and in Bordeaux in particular? I worked for three months in the F&B department of the Boutique Hotel de Bordeaux, an elegant hotel managed by a Vatelien, Meredic Demelle. This was an awesome experience. My main mission consisted in making sure our guests were always satisfied during their stay with us. I also had the opportunity of being trained in product management, especially breakfast products and wines served in the bar. So I was able to hone my knowledge in oenology. Of course, Bordeaux is the best city for that! I also was able to participate in drawing up marking strategies aimed at increasing awareness and renown of our hotel’s wine bar. I decided to come to France, because that’s where Vatel began and I decided upon Bordeaux for its reputation. This is a city that is known for its excellent quality of living, cultural wealth and its vineyards. Coming to France helped me improve my French; staying in Bordeaux also allowed me to improve my knowledge in oenology. Today I believe that in these three months I have gained new communication skills and that I’m ready to use them with my future customers and colleagues. I’m very confident in what the future holds as I really feel so much stronger because of what Vatel taught me in its theoretical courses such as management, marketing and finances as well as my practical application work in Bangkok. Vatel not only gave me know-how and knowledge, but also taught me how to manage a team. Is having attended Vatel a real asset in Bangkok? In Thailand, Vatel is seen as an excellent school for those who would like to become senior executives in tourism or hotel management. In addition to that, it’s a part of Silpakorn University International College, one of the country’s most prestigious schools, and with a double degree, Vatel is seen as being a very good school. People really appreciate its dynamic education founded on a mixture between theory and practical applications of them. The number of students who apply each year proves this. And that’s a good thing for the hospitality industry, as when you have students, down the road you’ll have qualified and appreciated employees! Congratulations on your first job. What are your next goals? I’m giving myself three years to progress in this hotel and my job in order to be promoted to manage my department. For that, I’ll be doing my best and always thinking about how to continuously improve my skill set and qualities. And as I said, I think the future is bright because Vatel gave me all the keys I need to succeed. Now it’s up to me to make my school proud of me by succeeding in my new jobs throughout my whole career.